Will you be running Los Santos, or be on the run? It's time to head back into Los Santos - and this time we're getting up close and personal, as Rockstar has given us a look at some in-game footage from Grand Theft Auto 5. You can check out the new video below, and believe us when we say that there's a lot to take in. We get a much closer look at the way switching between protagonists will work, the sports we'll be able to play when not avoiding the police - golf, tennis, hunting - and how we'll be able to customise characters and vehicles. The trailer also ends with a teasing glimpse at Grand Theft Auto online, with Rockstar promising it will show us more of the multiplayer aspect soon. Last week Rockstar gave a few more nuggets of Los Santos info, including that the game will require an 8GB install, and will ship on two disks for the Xbox 360. 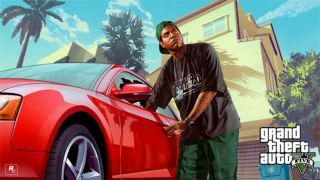 GTA 5 is set to be released on September 17 for Xbox 360 and PS3. Rockstar is currently keeping quiet on the possibilities of an Xbox One, PS4 or PC release.